Though there is a large body of evidence to support creatine’s effects as an ergogenic aid, research continues in order to answer some of the lingering questions surrounding the supplement’s lesser- known benefits. Creatine is a highly effective and well-researched performance enhancer. Though there is a large body of evidence to support its effects as an ergogenic aid, research on creatine continues in order to answer some of the lingering questions surrounding the supplement’s lesser-known benefits. Many readers may be familiar with the molecule known as adenosine triphosphate (ATP ), which is essentially the energy currency for cells in the body. Muscle cells are repeatedly exhausting and restoring ATP levels in order to perform work (i.e. contract). Thus, bolstering the restoration process of ATP is conducive to increasing muscle’s capacity to perform work. This is precisely where creatine comes in handy, as the phosphocreatine energy system is a major generator of energy in muscle tissue. Phosphocreatine, as you may have derived already, is a creatine molecule bound to phosphate. A large amount of energy generation in muscle tissue is achieved upon donation of a phosphate molecule from phosphocreatine molecule to an adenosine di-phosphate (ADP) molecule, thus forming a new ATP molecule. With this rudimentary understanding of how creatine works to enhance performance, let’s take a look at five research-backed benefits of creatine supplementation that many people are unaware of. A recent study by Roshan et. al found that using creatine supplementation during sprint testing in non- elite swimmers greatly increased their anaerobic performance. It appears that creatine is able to increase physical performance in sprinters by decreasing lactate production. One of the latest studies on creatine and neurology published in the American Journal of Psychiatry found that creatine augments the efficacy of selective serotonin-reuptake inhibitor antidepressants, also known as SSRIs. As the researchers noted, such augmentation may lead to a more rapid onset of antidepressant effects and a greater treatment response, potentially by restoring brain bioenergetics at the cellular level. This isn’t the first time creatine has been studied in regard to depression, but this most recent study is the largest and best controlled study of its kind. Curiously though, these benefits are exclusive to females, since previous research that investigated both genders failed to find a benefit in men; this latest study focused solely on females. The reason behind this gender difference is subject to further investigation. Another lesser-known benefit of creatine supplementation is that it appears to have antidiabetic properties. It has previously been noted to reduce glucose spikes after meals rich in carbohydrates, although this effect seems unreliable, as it has not been observed in all studies. However, a recent study by Alves et. 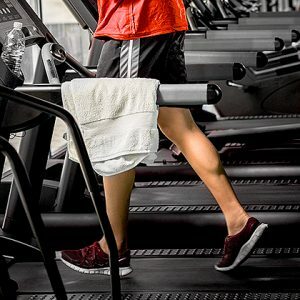 al, researchers observed that glucose uptake into skeletal muscle i s increased in diabetics taking creatine, but only in the context of physical exercise. The mechanism behind this increased uptake appears to be regulated by GLUT-4 (an important glucose transport protein) translocation. Previous research on animals has failed to find a specific decrease in blood glucose when the animal is at rest. In cells, glucose levels only increased significantly when the muscle cell was contracting. Since creatine increases glucose uptake during muscle contraction, and there is no risk for low blood sugar (hypoglycemia) with creatine supplementation, diabetics (and trainees in general) may b e able to derive several benefits from the supplement. 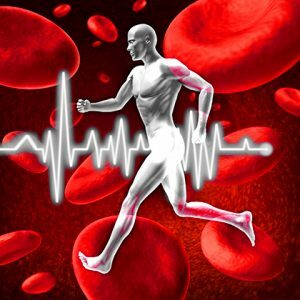 Creatine is cardioprotective as it defends heart cells by providing them with energy, while reducing plaque buildup in arteries (atherosclerosis). A study by Gordon et. al showed that creatine levels are greatly depressed in patients with chronic heart failure and other heart complications. While those with heart complications tend to also have physical limitations, creatine is able to aid physical performance, and supplementation seems like a good choice for these individuals (and those looking to maintain proper cardiac health). Thermogenic brown and beige adipose tissues dissipate chemical energy as heat, and their thermogenic activities can combat obesity and diabetes. In a study by Kazak et. al , it was found that decreased creatine levels also lead to decreased body temperature as well as whole-body energy expenditure. Therefore it seems that a creatine-driven substrate cycle enhances mitochondrial respiration in certain fat cells. 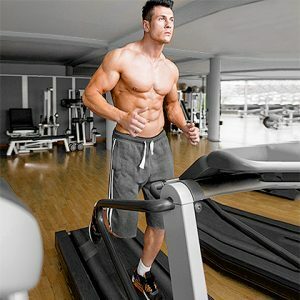 The key point to take away from this article is that creatine supplementation is well known to enhance athletic performance, particularly in athletes who perform high-intensity bursts of exercise as opposed to endurance athletes. Moreover, creatine has been shown to have antidepressant properties in females, be an effective antidiabetic in active individuals, protect th e heart, and regulate metabolic expenditure. The list of reasons to consider supplementing with creatine will likely only continue to grow as research advances; it is quite literally the gold standard of sports supplementation. 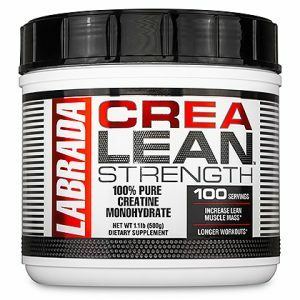 Try Labrada Nutrition’s CreaLean™ 100% Pure Creatine. References: 1. Roshan, V. D., Babaei, H., Hosseinzadeh, M., & Arendt-Nielsen, L. (2013). The effect of creatine supplementation on muscle fatigue and physiological indices following intermittent swimming bouts. J Sports Med Phys Fitness, 53, 232 -239. 2. Balsom, P. D., Ekblom, B., Söerlund, K., Sjödln, B., & Hultman, E. (1993). Creatine supplementation and dynamic high ‐ intensity intermittent exercise. Scandinavian journal of medicine & science in sports , 3 (3), 143-149. 3. Lyoo, I. K., Yoon, S., Kim, T. S., Hwang, J., Kim, J. E., Won, W., … & Renshaw, P. F. (2012). A randomized, double-blind placebo-controlled trial of oral creatine monohydrate augmentation for enhanced response to a selective serotonin reuptake inhibitor in women with major depressive disorder. American Journal of Psychiatry, 169 (9), 937-945. 4. Alves, C. R. R., Ferreira, J. C., de Siqueira-Filho, M. A., Carvalho, C. R., Lancha Jr, A. H., & Gualano, B. (2012). Creatine-induced glucose uptake in type 2 diabetes: a role for AMPK- α ?. Amino acids , 43 (4), 1803-1807. 5. Gordon, A., Hultman, E., Kaijser, L., Kristjansson, S., Rolf, C. J., N yquist, O., & Sylvén, C. (1995). Creatine supplementation in chronic heart failure increases skeletal muscle creatin e phosphate and muscle performance. Cardiovascular Research , 30 (3), 413- 418. 6. Kazak, L., Chouchani, E. T., Jedrychowski, M. P., Erickson, B. K., Shinoda, K., Cohen, P., … & Kajimura, S. (2015). A creatine-driven substrate cycle enhances energy expenditure and thermogenesis in beige fat. Cell , 163 (3), 643-655.